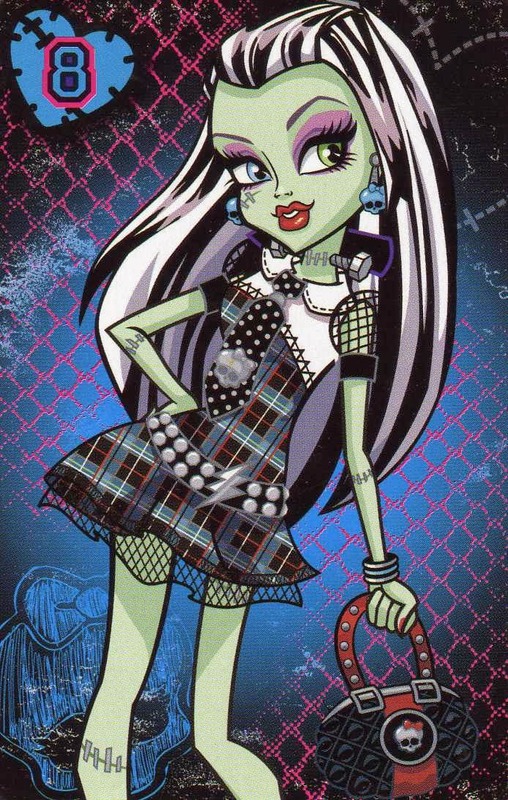 Frankie is Frankenstein and his wife's daughter, she is the new monster in Monster High, she was alive only for 15 days. She is very friendly and athletic, she does not waste time being negative but has a clumsy streak, as her body parts tend to brake. She is also very naive, because she is really young, she does not know much about life and the typical teenage things. Enjoy the Frankie's images we present below. 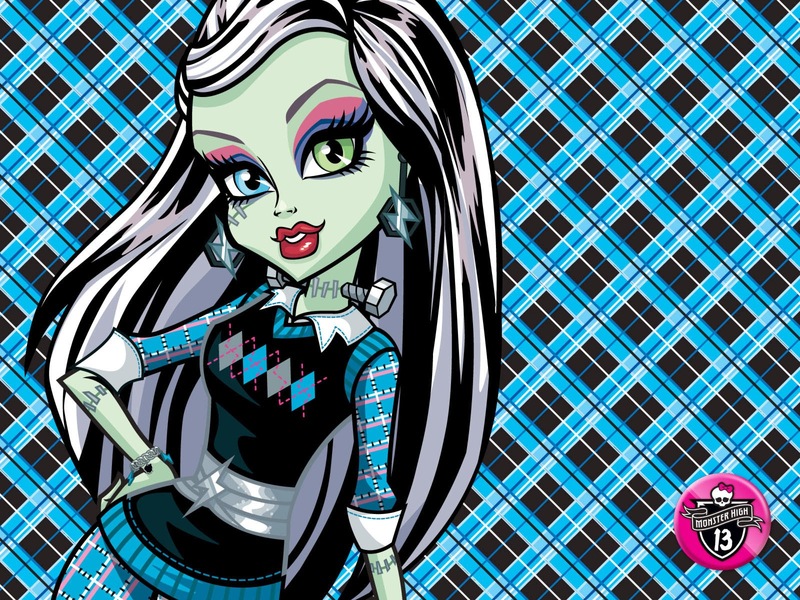 Monster High Frankie with a turquoise background. 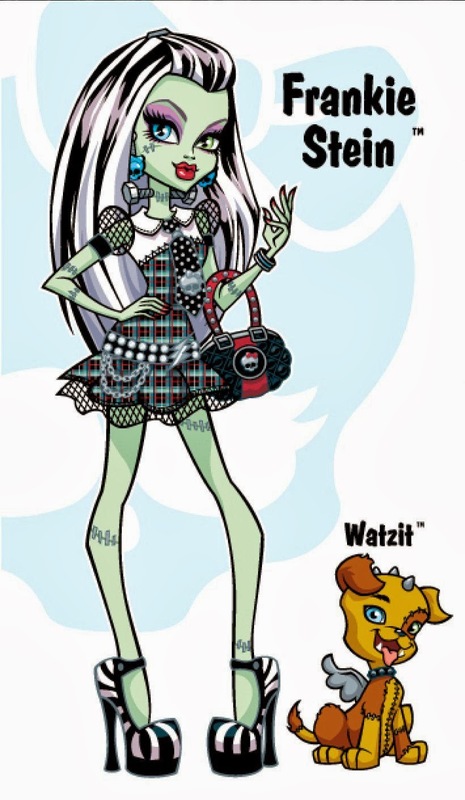 Monster High Frankie with a red purse and her pet. 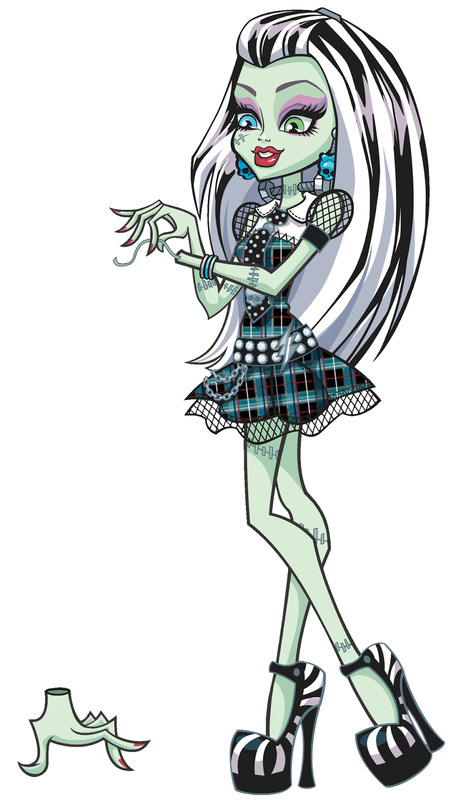 Monster High Frankie without a hand. 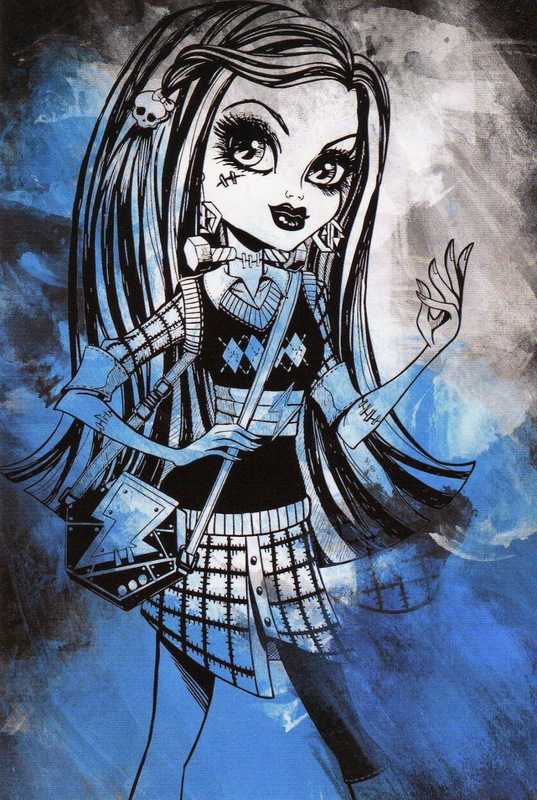 Monster High Frankie holding a red purse. 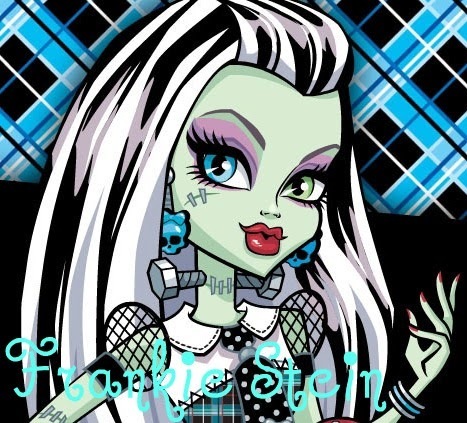 Monster High Frankie with long hair. Monster High Frankie with a swimsuit. 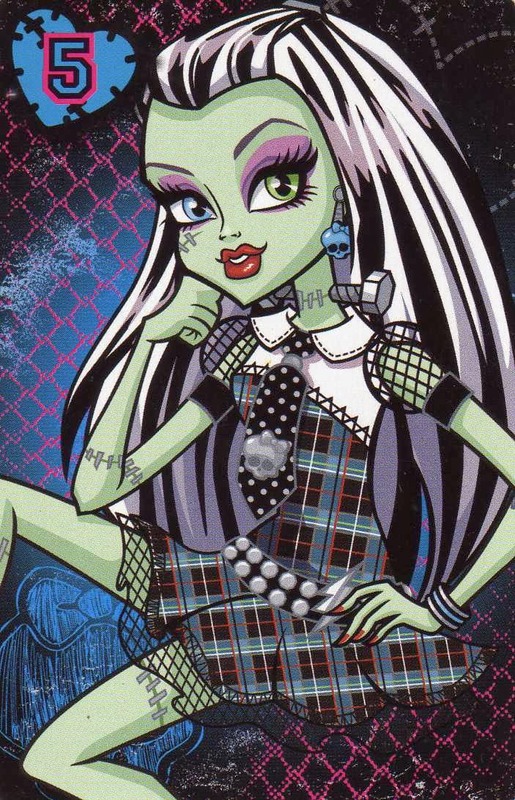 Monster High Frankie writing on a notebook.